Hard-drinking, pill-popping, bong-ripping Lou (Lyonne) and her best friend, Sadie (Sevigny), spend their days adrift in a druggy haze. But one wild night out becomes a bad trip that never ends when Lou wakes up with symptoms of an unexplained, highly abnormal pregnancy. Who—or what—is growing inside her? As her due date approaches with alarming swiftness, the fear, paranoia, and conspiracy theories begin to pile up. Spiked with blasts of hallucinatory color, surreal shocks, and subversive comedy, the audacious feature debut from Danny Perez is a no-holds-barred descent into delirium. 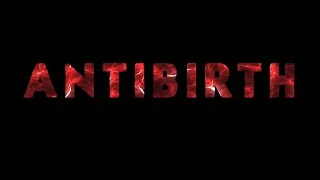 "An entertaining grossout riff on Cronenberg-style body horror"
"‘Antibirth’ is Gross as Hell!" "A timeless midnight movie that'll find new audiences for decades to come." "It’s the best Sundance Midnight movie that I’ve seen yet"